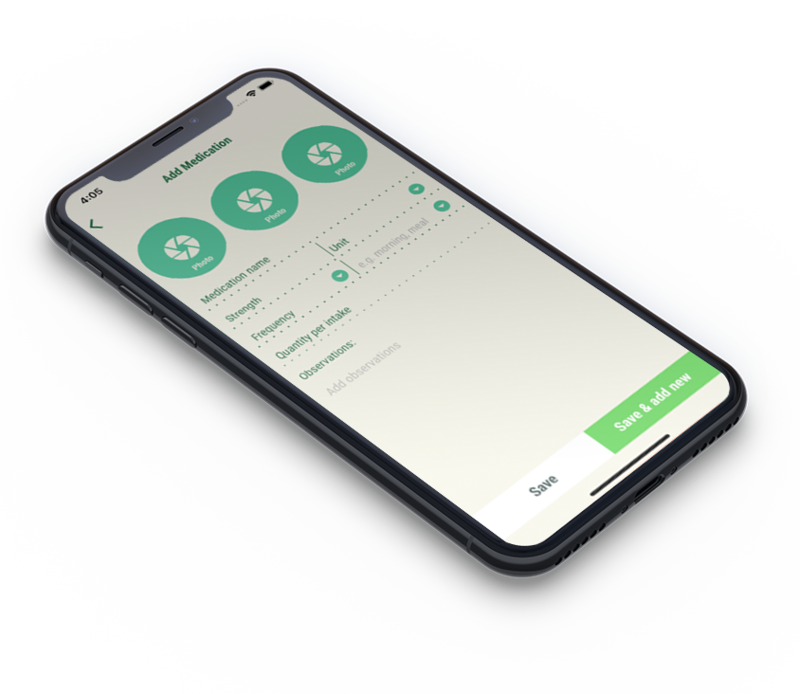 A multiplatform application designed to address home health care services, connecting the hospital with the caregiver and the patient. Home caregiving appointment made easy. The Dashboard calculates the best Caregiver / Patient match. With speciality data entry for vital signs measured values, assessment questionnaires, media notes and much more. The home health care Dashboard is by excellence an appointment and patient case manager, that collects Patient critical information entered by the Caregiver. 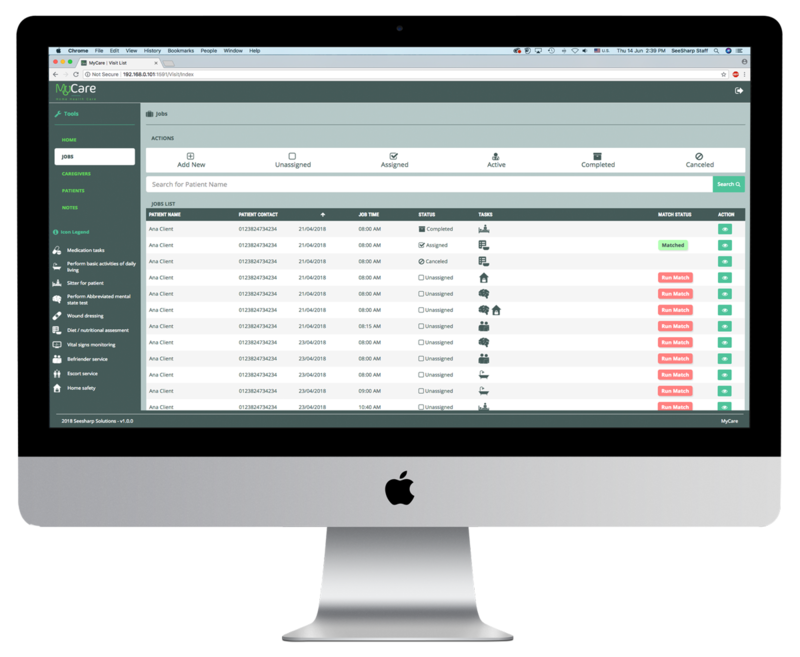 Patients, Caregivers and Visits Jobs are created through this platform, keeping track of the home care service given. Becoming an essential extension for any medical service provider. 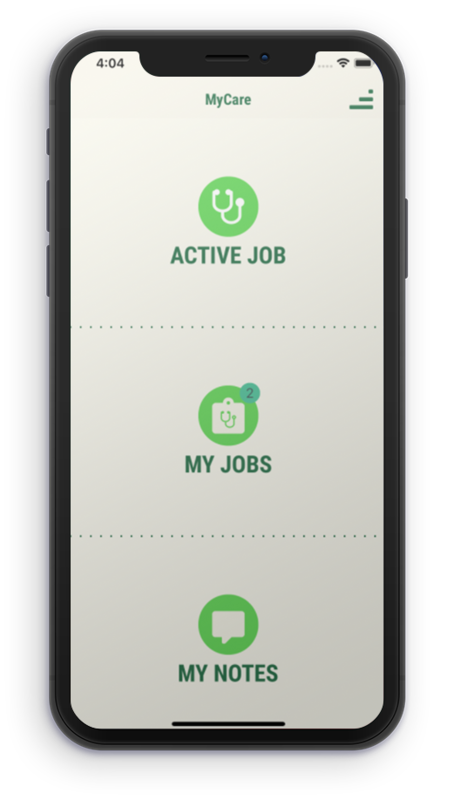 The MyCare mobile app allows the caregiver to receive job requests, capture data related to the patient visit appointment and communicate with the dashboard operator. 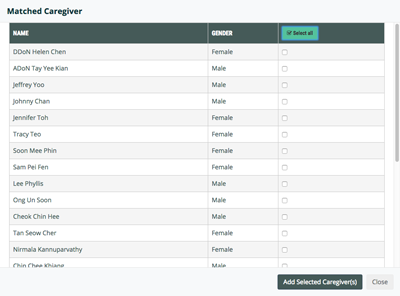 Find all available caregivers with one click. The platform matches Caregiver to Patient considering the required care skills case by case, and taking in consideration any other relevant preferences (e.g. : language, available work hours, etc...). Select all or few Caregiver to send the homecare visit job. The selected caregivers will receive a push notification of the new job. 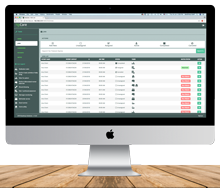 MyCare solution allows the exchange of messages between the app and dashboard. 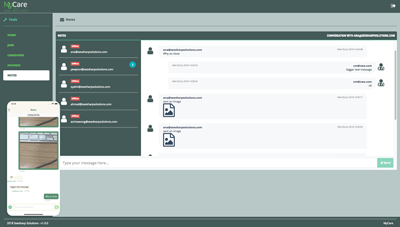 Supporting text, photo and video format. For constant support of the caregivers while providing the health care services. 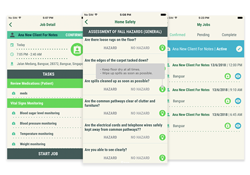 Matched Caregivers are notified via mobile app of the job visit offer. After starting job the Caregivers collect information in regard of the requested care service, with speciality data entry templates tailored for the common home care services. 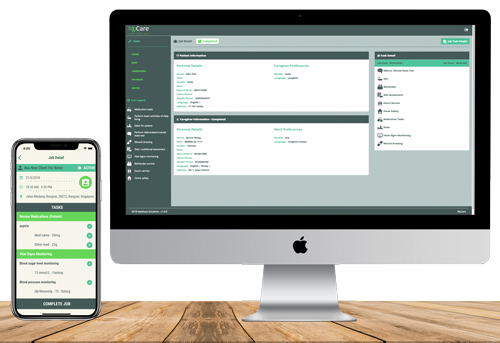 In the web Dashboard the case managers can view the information collected by the Caregiver, including photos, videos and text notes, as well as provide a message support while caregiver is in loco with the patient.